Lease transfer, no issues with car at all! Perfect beautiful condition. Located in Los Angeles, California region. It took be over 3+ months to get this deal scouring dozens of dealers in LA, selling it at a very fair price! 22 months remaining with 17,600 miles, or 800 miles a month. Silver with blank interior. Prior Loaner Car. Lease ends 02/19/2021, Total Miles Allowed 44,000. Car has 26,500 miles, this provides new owner with 22 months and 17,600 miles, or 800 miles a month. During purchase, I paid a significant amount in security deposit ($4500), plus additional down-payment (cap cost reduction) to reduce payment. Not requesting my downpayment back! 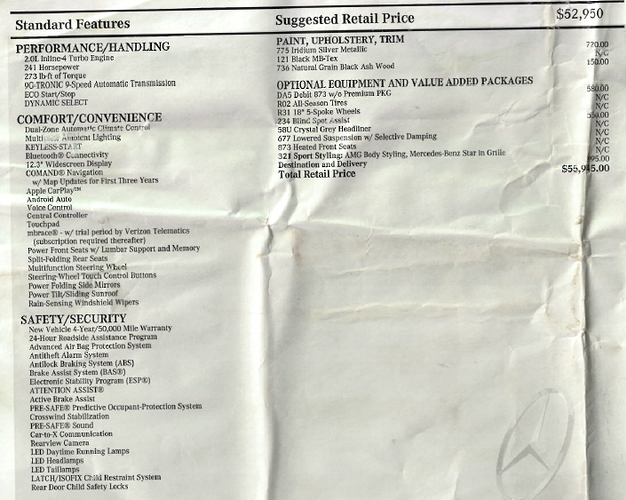 I’m requesting a total of $4500 in just the security deposit i paid to Benz. Update your title with the true monthly payment and DAS amount for the transferee. It’s not horrible. Why offer an incentive with an attractive payment? MSD are tough though. No it isn’t. 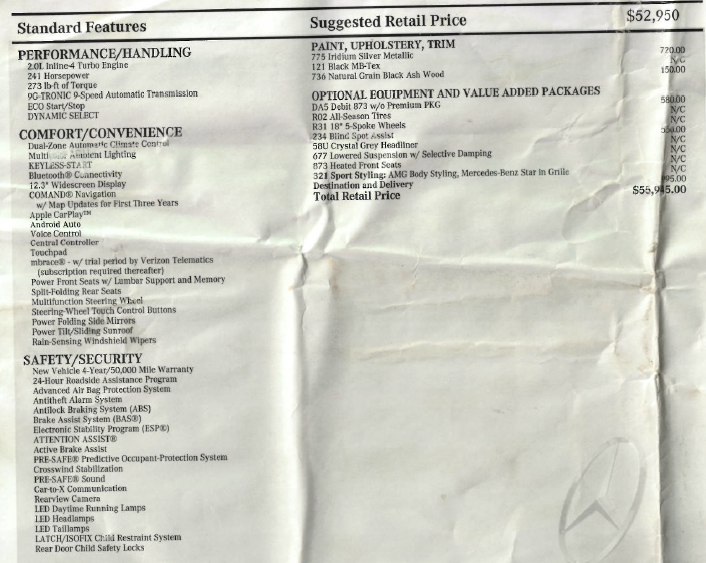 Asking someone for incentives on a 387/month E300 and complaining about the MSDs are insane. 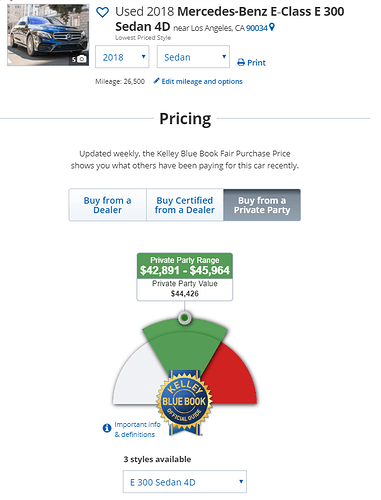 It’s a great payment on a high end sedan, worth $55K MSRP! And overall fairly low downpayment, mostly going to MSDS! Well… It’s effectively $463/mo + tax. 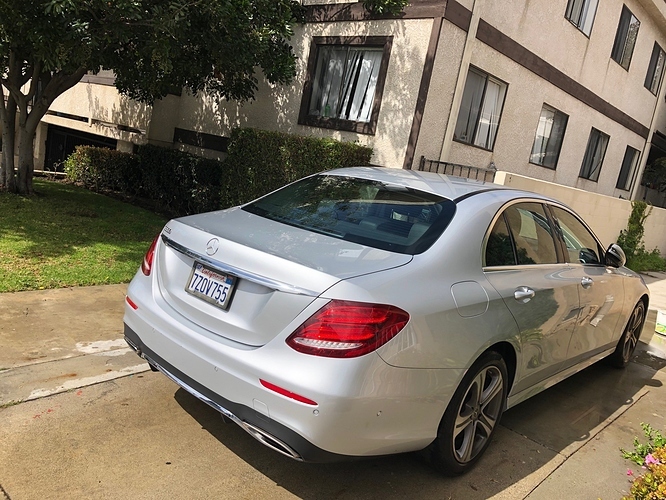 Approx $500/mo for a $56k E300 isnt great, but it’s all about timing. And right now, this is a fair price since MY18 support is done and MY19s aren’t old enough yet to score any good deals on. If I were OP, I’d do the same thing (maybe not try to make $1k profit on it, but it’s still fair to ask). Yeah I’m not sure about the 1k, but it triggers me when people balk at covering the MSDs. Yeah if there’s only 6 months left I might not want to pay the whole thing, but 22 months is a good amount. And even then if was a short term, the MSDs come back that much sooner. Hi everyone, I appreciate all the comments. There is definitely no profit I’m making. Besides the MSD, I paid close to $3000 down, hence I’m requesting $1000 of it back. I hope someone likes the car, I think it’s a pretty good and fair deal! Reduced initial payment required to $5000, $4500 which is applied to security deposit! I have quite a few buyers interested, but still available! You think this is a smoking deal?? Wait until you get a whiff of the sweet exhaust fumes from a 328d!!! Want to clarify the residual at the end of the lease. Is it - $39,900 or $41k? $39,900 is the current buyout price for the car. I.e, you will own the car at that purchase price. i’ll provide residual price shortly at end of lease shortly. Updated pricing. Just security deposit required of $4500. Lease transfer $695 fee to Benz. Smoking deal now! Please remember it took me months to find this deal! 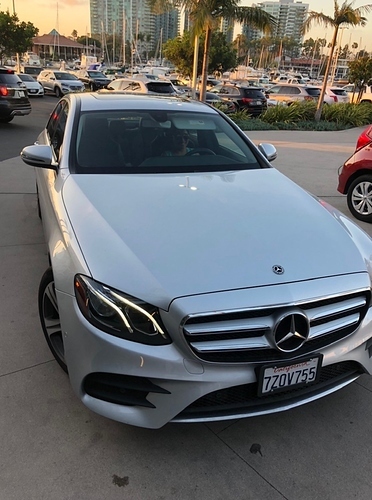 Again, just $387+ tax on a E class benz, plus lease transfer fee. Smoking deal now! To be honest, are you in a rush to get ride of the car? If not, why not post it on swapalease? It would help you recovering the $1000 that you were willing to no ? I’m in no rush! Just trying to make it as attractive as possible! I have quite a few interested people as it is, but still available. Please remember you can also just purchase the car for $39,900, it’s quicker and easier as well! I’m only considering selling the car as lease transfer may take too long, we can use car guru escrow service (i’ll pay $100 fee). I have a $38,000 offer from carmax. Price is firm at $39,500 for private party! Have you checked what vroom and Carvana offer ? Any other options you guys can think up off?